I interviewed Seattle career counselor Kate Nelson about personality type and career. Ms. Nelson is an expert in using the personality assessment, the Myers Briggs Type Indicator (MBTI), to assist people with choosing work that is a good fit for their personality. Kate, for readers not familiar with the MBTI, please tell us what the MBTI is and what it measures. The MBTI is an assessment that is based upon the work of Dr. Carl Jung, a Swiss psychiatrist. It consists of 16 different types of “genetic imprints” — aspects of inborn personality preferences, including ways of focusing energy, taking in information, deciding, and organizing one’s life in response to demands that are part of everyday life for all of us. In your experience, are people happier if they choose work congruent with their type? Absolutely. Knowing your type is valuable in understanding and choosing WHY you work. It can also help to explain any dissatisfaction you might have with your current employment. How do people determine their real preferences vs. socially constructed ones (created because of pressure from families, schools, work settings, etc.)? During an MBTI interpretation with a career counselor professionally trained to help clients with the MBTI, the test taker is encouraged to reflect on questions which help determine if their recorded type is their “true type.” This is important to understand, as we are all faced with environmental pressures that can alter how we respond. The key is to deeply consider your true preferences — what has been true for you since childhood — in spite of environmental pressures. This can take time to sort out, but a counselor who is familiar with the MBTI can make it well worth the effort. Can you give us a sample of how knowing your MBTI type should influence decision-making? For example, suppose a client is an INTJ. What would that tell us? At first glance, we know that a person with a preference for INTJ likes to have time to consider things, enjoys working on complex, challenging assignments, appreciates deadlines and working toward a goal, focuses on work tasks (rather than on work colleagues) and probably thinks they can do a better job than most people (and they may be right!). In addition, an INTJ has a dominant preference for introverted intuition. This is something that most people don’t see because introverts use their dominant function in their preferred world, the inner world. Dominant introverted intuition represents a great strength of foresight, of somehow knowing what might (or should) happen before others do and not always knowing how they know. On the other hand, INTJ’s often find it difficult to deal with people’s emotions and generally dislike work tasks that involve interacting heavily with other people, such as in fundraising or other activities that require the daily use of interacting socially with others. In addition, the middle two letters of your MBTI code are especially important in choosing a career. There are four possibilities: ST, SF, NT and NF. Dr. Jung referred to these as the “mental processes” and they point the way toward work that is meaningful and satisfying for a particular type. These are some of the characteristics that can help an INTJ to make career choices that will utilize their strengths more effectively. Does someone’s type change over time or is it fairly reliable? Type can change over time, usually due to stressors and environmental demands, but it is usually stable for most people. As a person increases in self-awareness, the process of understanding their type becomes clearer. When a preference changes, it is often easily understood after some thoughtful reflection. The MBTI is part of a larger theory that Dr. Jung developed which addresses the human life span. He believed that people begin to develop their less-preferred functions at mid-life, which often accounts for activities that people take up in later life that reflect new interests and frequently involve the use of their “shadow”. For example, a lifelong creative writer and wordsmith might become interested in building birdhouses in their retirement years, indicating a shift from a preference for intuition toward one of sensing. They will always prefer using their intuition, but sensing functions become more integrated in their lives. According to Dr. Jung’s theory, the integration of inborn preferences is one of the developmental tasks of being human. If someone wants to hire you for consulting about the MBTI, what is the first step? You can visit my website at SeattleCareerMatters.com to get a sense of how I work. I’ve tried to answer many of the questions that people usually have when they consider hiring a career counselor. If you think we might be a “good fit,” you can email me using Kate (insert @ sign) SeattleCareerMatters.com or call me at (206) 525-6939 to discuss how we might work together. If you would like to see the type of MBTI assessment you can purchase through Katharine Nelson or any qualified MBTI practitioner, here is a sample MBTI report offered by the assessment publisher CPP. 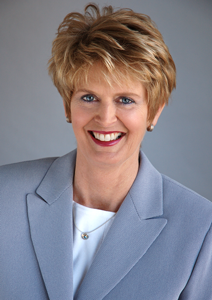 Katharine (Kate) Nelson has worked as a counselor for over 30 years in academic and private practice settings. She has worked as a senior staff mental health/career counselor at the University of Washington Counseling Center for over 20 years, and as a counselor and instructor in the community college setting, both in California and Washington State. Ms. Nelson received her M.S. in Counseling from California State University, Long Beach. She is also a Licensed Marriage and Family Therapist, a Licensed Mental Health Counselor (Washington), a National Certified Counselor and National Certified Career Counselor and a Master Career Counselor. She taught in the University of Washington Career Development Certificate Program for many years and earned the “Award for Teaching Excellence” in 2001. Ms. Nelson has also worked in a number of educational and business settings as a career management and career development consultant to corporations, as well as non-profit organizations. Visit her website at SeattleCareerMatters.com.